Since 2010, Confiserie Riegelein has assumed a leading role in the use of fairly traded cocoa. Sustainability is not only an inherent part of Riegelein’s mission statement, but also a matter close to the hearts of the founding family. Now, its many years of dedication have paid off. On 15 January, Confiserie Riegelein won the online vote for the Fairtrade Public Choice Award 2016. ‘We are thrilled that more and more people appreciate our commitment to Fairtrade and share it with us,’ states Peter Riegelein, managing director of Confiserie Riegelein. 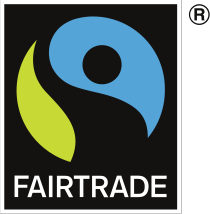 The long-standing partnership with Fairtrade began in 2011, when the Cadolzburg-based, family-owned company first switched to the use of Fairtrade chocolate for its hand-decorated articles in the German market. When the Fairtrade Cocoa Program was launched in 2014, Riegelein was one of the first participants, Setting a goal of acquiring all ingredientst hrough the Fairtrade Cocoa Program by the beginning of the 2016 Christmas season. This makes Riegelein the first larger brand-name chocolate producer to convert entirely to Fairtrade cocoa. ‘Fair trade is a key concern for the future, and every company must find a responsible and sustainable solution in its particular area of activity. We are committed to offering products that are manufactured with ecological, economic and social responsibility in order to actively support the principle of fair trade,’ emphasized Peter Riegelein.